James Castle was born two months premature on September 25, 1899, on a farm in Garden Valley, Idaho. He was deaf, mute, autistic and probably dyslexic. He didn't walk until he was four; he would never learn to speak, write, read or use sign language. Yet, today Castle's artwork hangs in major museums throughout the world. The Philadelphia Museum of Art opened "James Castle: A Retrospective in 2008." The 2013 Venice Biennale included eleven works by Castle in the feature exhibition "The Encyclopedic Palace." And his reputation continues to grow. 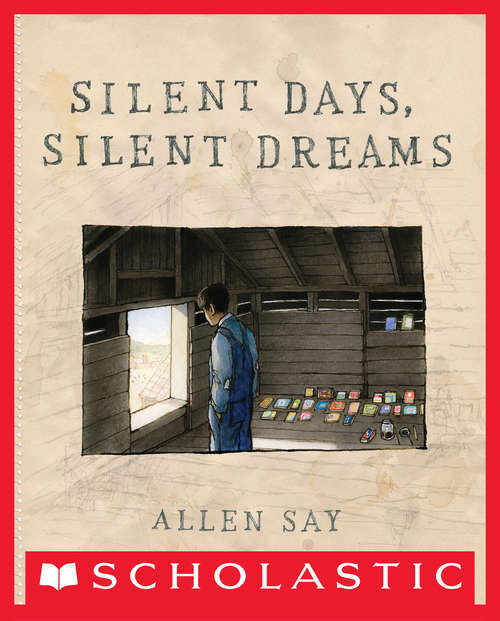 Caldecott Medal winner Allen Say, author of the acclaimed memoir Drawing from Memory, takes readers through an imagined look at Castle's childhood, allows them to experience his emergence as an artist despite the overwhelming difficulties he faced, and ultimately reveals the triumphs that he would go on to achieve.